Danish sculptor, next to Canova the most celebrated sculptor of the Neoclassical movement. After five years at the Academy in his native Copenhagen, he reached Rome in 1797 on 3 March, a day which he henceforth considered as his birthday. 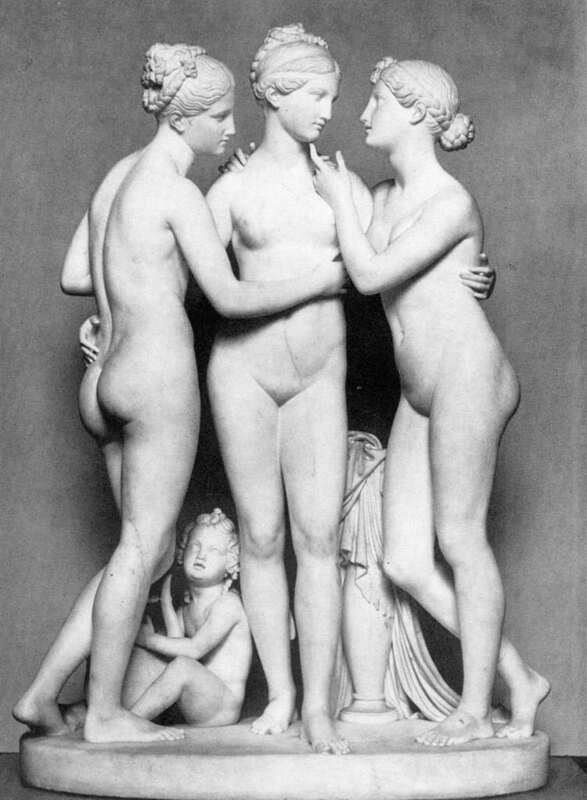 He made his name with the statue Jason (Thorvaldsens Museum, Copenhagen, 1802-03), which was based on the Doryphoros of Polyclitus, and his growing reputation resulted in so many commissions that by 1820 he had forty assistants in his Roman workshop. In that year, when visiting Copenhagen, he began planning the decoration of the newly built church of Our Lady with marble statues and reliefs, a scheme which was to be his principal task for several years. His other major works include the tomb of Pius VII at St Peter s in Rome (1824-31) and a monument to Lord Byron (Trinity College, Cambridge, 1829). He returned finally to Denmark in 1838, a celebrity whose authority in the arts was sovereign. In Copenhagen a museum was built in his honour (1839-48), itself a remarkable piece of neo-antique architecture, the courtyard of which contains his tomb. 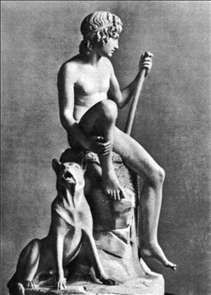 Thorvaldsen aimed at reviving the sublimity of Greek sculpture, but he never went to Greece and (in common with other artists of his time) bestowed his admiration mainly on late Hellenistic or Roman copies. 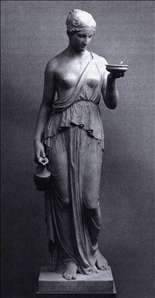 He did, however, gain close knowledge of Greek sculpture from the restorations he made to the recently excavated sculptures from the Temple of Aphaia in Aegina, which in 1816 passed through Rome on their way to Munich (they are now in the Glyptothek there); Thorvaldsen s restorations have only recently been removed. 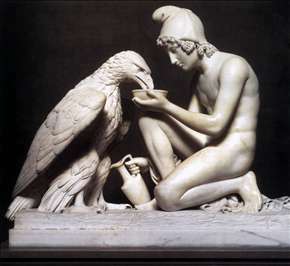 Compared with Canova he is cool and calculating; his sculptures are more logically worked out and have great precision and clarity, but they lack Canova s sensitive surfaces. Thorvaldsen was one of the outstanding collectors of his day, buying works by contemporary painters (notably the Nazarenes ) as well as ancient works (now in the Thorvaldsens Museum). 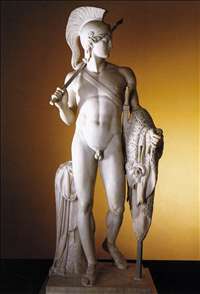 See more details about "Hebe"
See more details about "Ganymede Waters Zeus as an Eagle"
See more details about "Jason with the Golden Fleece"
See more details about "The Three Graces with Cupid"